Please take at the motorway A3 exit Limburg Süd and follow the B8 direction Bad Camberg. After ca. two kilometres turn left at the traffic-light direction Eschhofen. At the first crossing in Eschhofen (Shell station) turn right and follow the signs to Runkel-Ennerich. 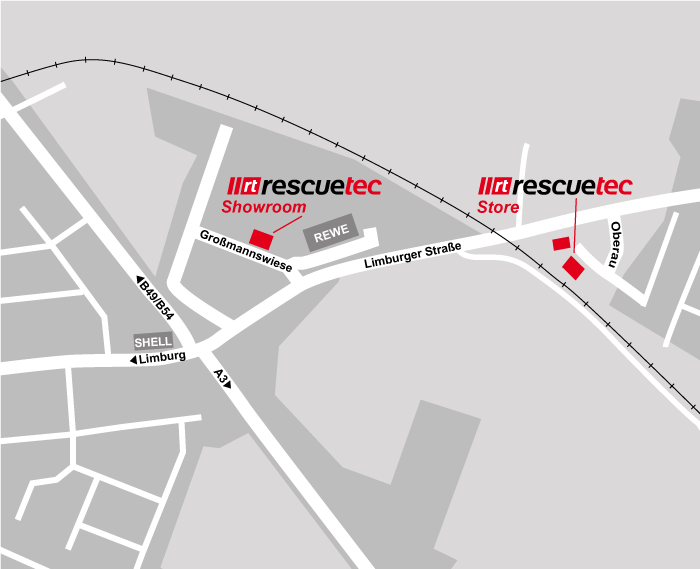 After The railway crossing you will see rescue-tec at the right side. 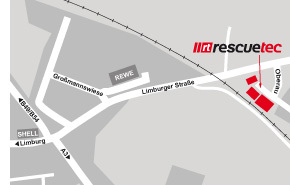 Please exit Runkel/Dehrn/Ahlbach and follow the sings direction to Dehrn. Follow the bypass road until the third exit and drive the main road until you get to Eschhofen. 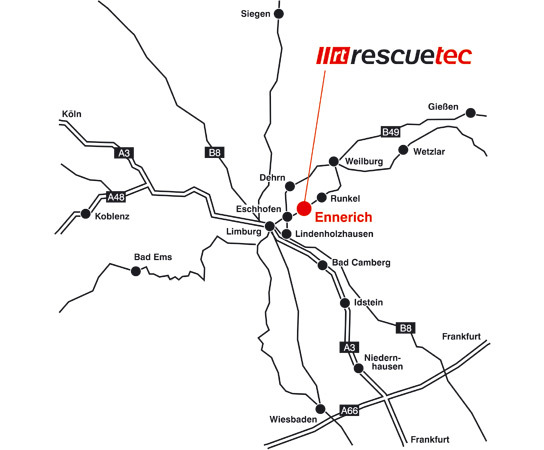 At the first crossing in Eschhofen drive left direction Lindenholzhausen, pass the railway station, at the crossing (Shell-station) turn left direction Runkel-Ennerich. Monday to Friday 7:00 a.m. to 4:00 p.m.